Pura Vida Home Décor is located in Needham, MA. While we offer locally crafted gifts and décor, our featured and most popular products are made by Spicher and Company. If you haven’t heard of their Vintage Vinyl® Floorcloths, you’re missing out on the hottest new flooring for the home. Why are they so popular? Vintage Vinyl® is a modern twist on classic linoleum flooring but made for today’s lifestyle. They are certified non- slip, easy to clean, durable, and come in a multitude of patterns, styles, and colors. Use them in kitchens, hallways, laundry rooms, entry areas, game rooms, basements, covered patios, any high traffic area where you need some decorative, durable flooring. It’s an easy way to add some pizzazz to the room and floor! They lay perfectly flat, are 1/8” thick, and come in 18 standard sizes up to 10’x15’. Available in rectangles, runners, squares, and round shapes. With six unique collections of Vintage Vinyl®, there’s something to fit almost any decorating style! Classic Collection: These styles feature mostly geometric designs with inspiration from recent decades. Many are distressed to give a comfortably aged look. Arisanry and Norwegian Wood Collections: These collections are made to look like real wood. You will see details such as grains and knots. If used on a wood floor, they will give the appearance of wood inlay. Persian Bazaar: The newest collection of Vintage Vinyl®. These designs are inspired by old world beauty with all of the benefits of Vintage Vinyl®. Spicher and Company also creates exclusive artwork. All artwork and Vintage Vinyl® patterns are designed in house by the graphics team or painted by artist Kolene Spicher. All products are proudly made in the USA! 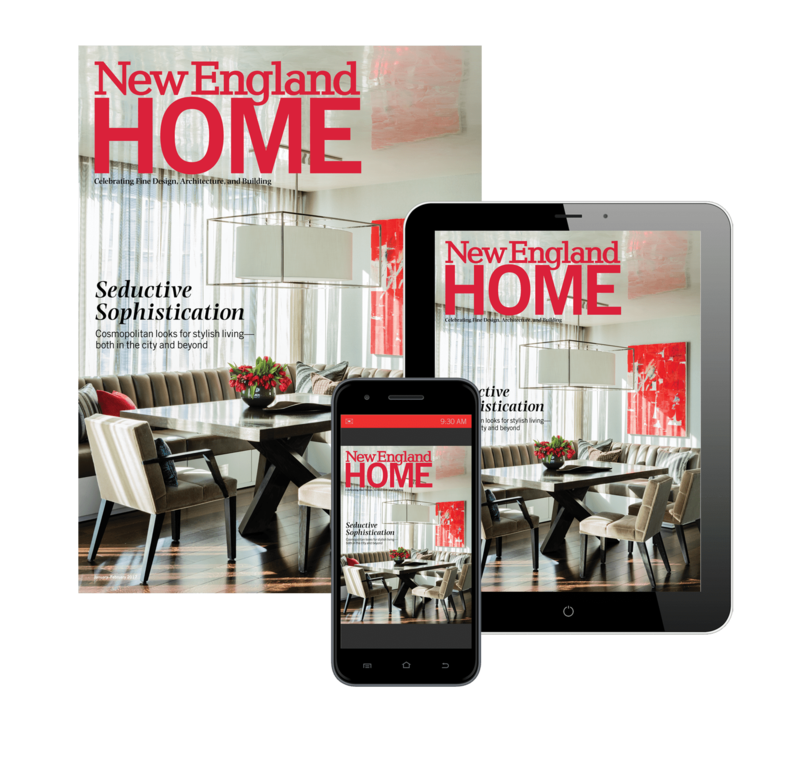 New England Home readers use coupon NEH for 25% off online vinyl prices (orders over $175).